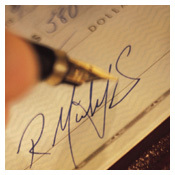 Order Checks - Need to refill your checkbook? Order or Reorder checks online. It's quick and easy! Click To Begin.